Josh Ozersky Rest in Peace. Returned home from a Pittsburgh jaunt to learn of the passing of food writer Josh Ozersky. Ozersky died suddenly while in Chicago to cover the 2015 James Beard Awards. A tragic loss for his family, friends, and the international food writing community. Forty-seven. Exactly my age. Actually, I turned 48 last week but it’s close enough for government work. I don’t usually take up writing space to talk about current events, but this one hit me pretty hard. And not just because we share a birth year. I’m pretty old fashioned when it comes to food writing, preferring to gather my information and steal style tips from the standard bearers, folks like Ruhlman, Buford, Bourdain, Mitchell, Fisher. I prefer books. I like to hold words in hand, feeling their heft and weight instead of searching out obscure food journals, or running down listicles of “Best Burgers in the South…” websites. I’m lazy like that. So I’m a newcomer to Ozersky’s work, discovering it only last year. But what weight, what heft. In his piece Consider the Food Writer, he boldly states eminent food writer MFK Fisher is a hack, a fraud, declaring her work too flowery, too elitist, too white-women-at-a-garden-party frilly to fully reflect our changing, growing, diverse food world. Which made me stand up and take notice, becoming more aware of how I contribute to the problem. It struck a chord. So often food writing chooses to skate along the surface of delicious and cheesy and luscious and gooey, forgetting it can also be caustic and rotten and triggering. The piece affected me so much I dedicated my most recent podcast to it. Local food writer Simon Davidson and I spoke at length about whether Ozersky was right. And while we didn’t come to any real conclusions, opening the conversation felt valuable and worthy and right and like the start of something important. Ozersky left us three months after the MFK Fisher piece published. This feels significant. As if he’s thrown down the gauntlet and challenged the rest of us to take it up. To keep going, but not just skate across the surface of food writing, rather digging deep, attempting with each passing sentence to get to the heart of the matter. Not just to present recipes, tips, tricks, and lists, but to get honest. Utterly, brutally honest. To present the ugly, the dirty, the pathos and the unhealthy in addition to the things that make our tummy rumble. The Saveur piece he wrote about his father exemplifies this. I cried when I read it, because since I started this journey I’ve been trying to figure out where I fit. What my point is. He knew already. So strongly. Where I’ve been dancing around food and memoir and maybe putting in some ugly memories in between the grand and graceful, here he was boldly doing so. And daring you to look. Long and hard. It’s an important piece and I urge you to read it. It’s an example of what great writing is, not just great food writing. It shows what this industry could be if we could ever get past the headlines. I’m sorry I never met him. But I’m grateful we still have his words. Because great writing, writing that stands the test of time, makes you uncomfortable. It’s not all gooey cheese strings, beautifully carved radish roses and drippy chocolate sauce. People cut themselves, burn themselves, hate themselves. Have allergies. Fail gloriously. Get triggered when they smell almonds, or garlic, or bread. Have no money to even eat. There’s room in food writing for the ugly. Josh Ozersky showed us that. 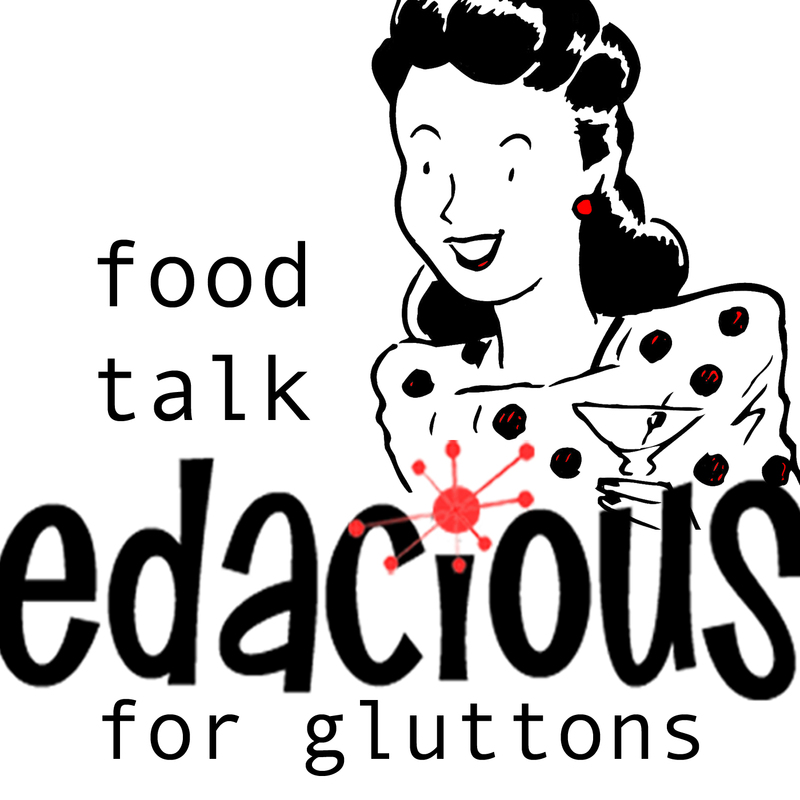 ← Episode 7 of Edacious – Food Talk for Gluttons.